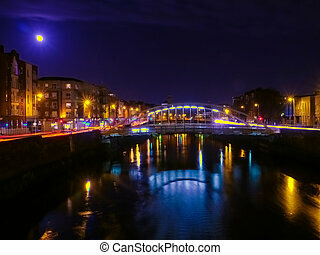 The ha'penny bridge in dublin, ireland, at night. 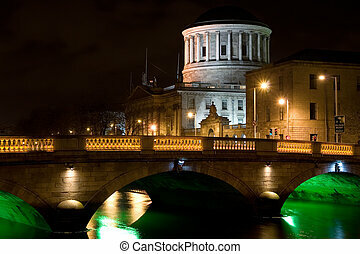 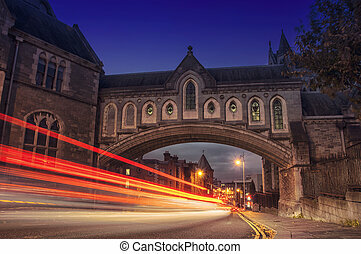 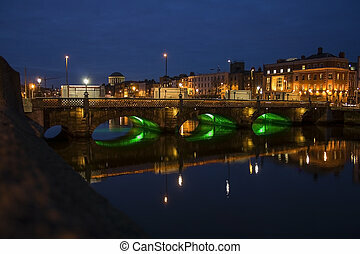 Four Courts and bridge over river Liffey illuminated at night in the city of Dublin in Ireland. 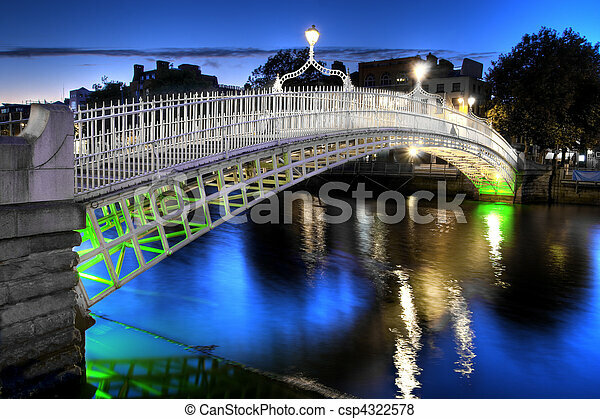 Ha'penny Bridge at night. 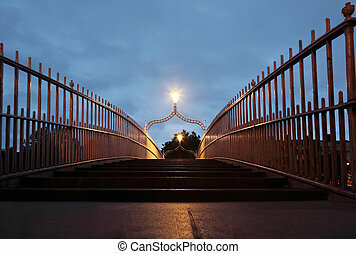 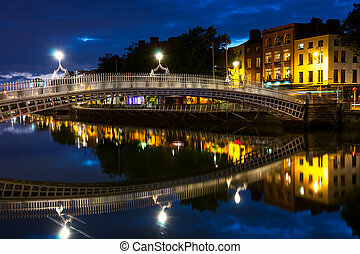 Ha'penny Bridge is a pedestrian bridge built in 1816 over the River Liffey in Dublin, Ireland. 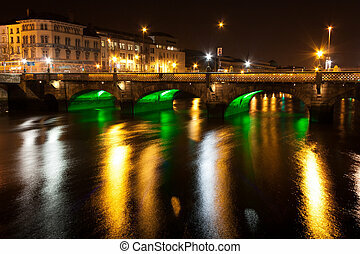 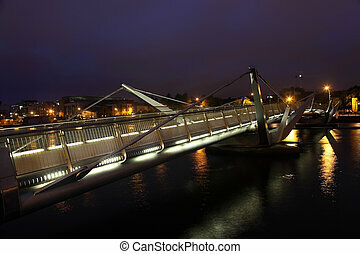 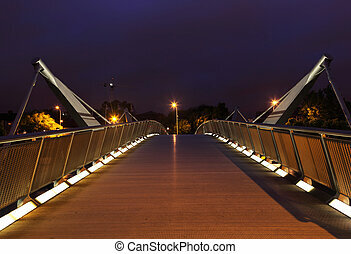 Bridge over River Liffey at night. 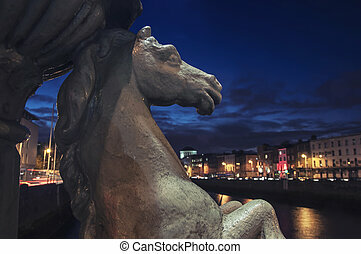 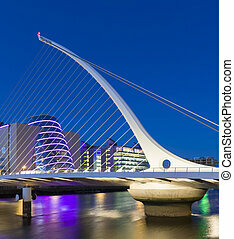 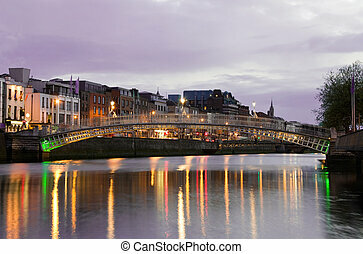 Liffey is a river in Ireland, which flows through the centre of Dublin. 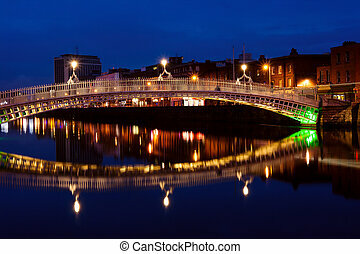 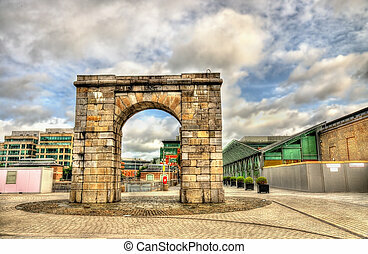 The Hapenny (Ha'penny) Bridge - Dublin famous landmark. 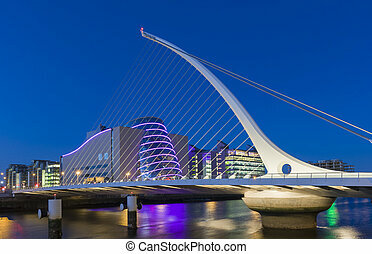 At sunset.